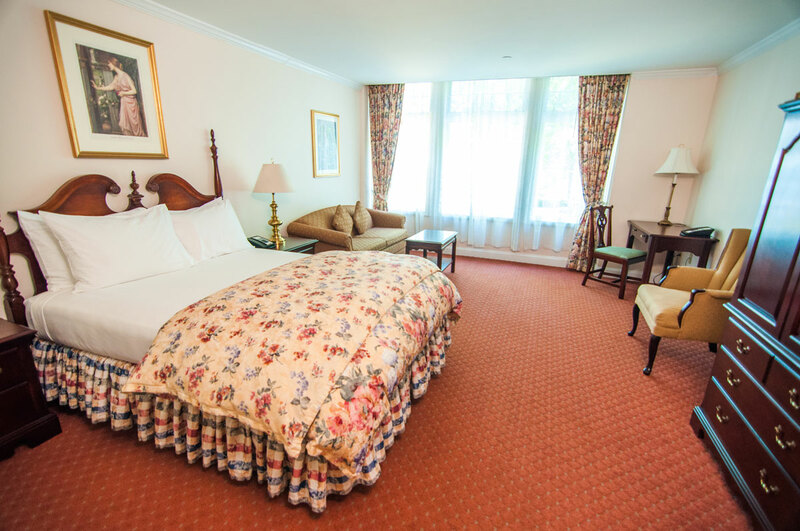 For those who love a beautiful view to accompany a beautiful room, there’s the Parkside Queen. Oversized windows offer stunning views of Coolidge Park and downtown Northampton. The room has one queen bed, an open sitting area with a pullout sofa, wet bar and refrigerator.